Hello! 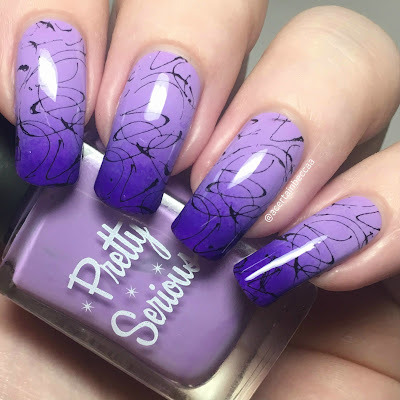 Today I'm back with another 26 Great Nail Art Ideas post. If you missed the last theme, 'Green Freestyle', you can find my post here. 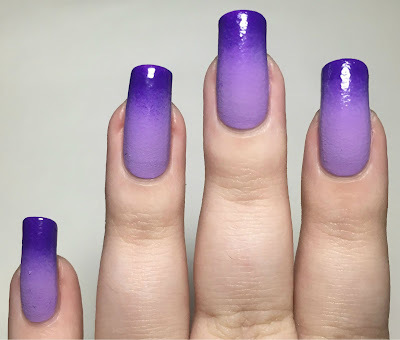 This time the prompt is 'Pastel to Bold Gradient with Something on Top'. This is one of the more specific themes we've had, but also has so much room for variation. Here is what I came up with. Read on to find out more! I started with a base of Pretty Serious Cosmetics 'Cutie Patootie', the lilac/purple from the Pastel Pet Names collection. The formula is amazing. It is right on the edge of being a one coater. I did have some tiny light patches so added a second coat, but could have easily got away with one. This also dries super glossy and smooth. Below is two coats without topcoat. 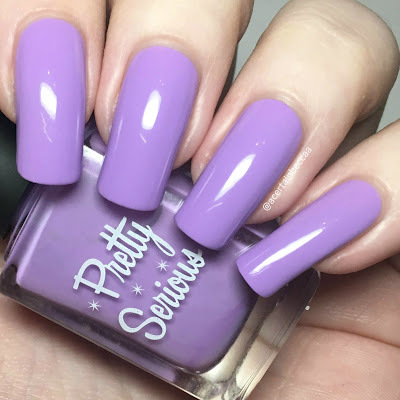 I then created my 'pastel to bold' gradient using Pretty Serious 'Cutie Patootie' and 'Snugglebutt'. I find 'Snugglebutt' to be a bit more of a jelly formula, so it took a few coats of sponging to build up. 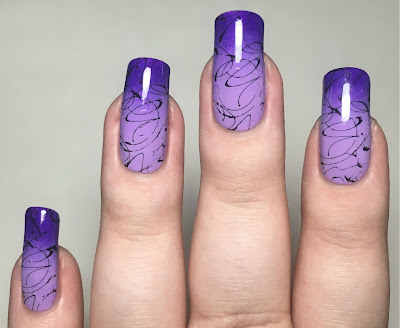 For my 'Something on Top', I decided to add some stamping. I used Lina Nail Art Supplies plate Make Your Mark 02. 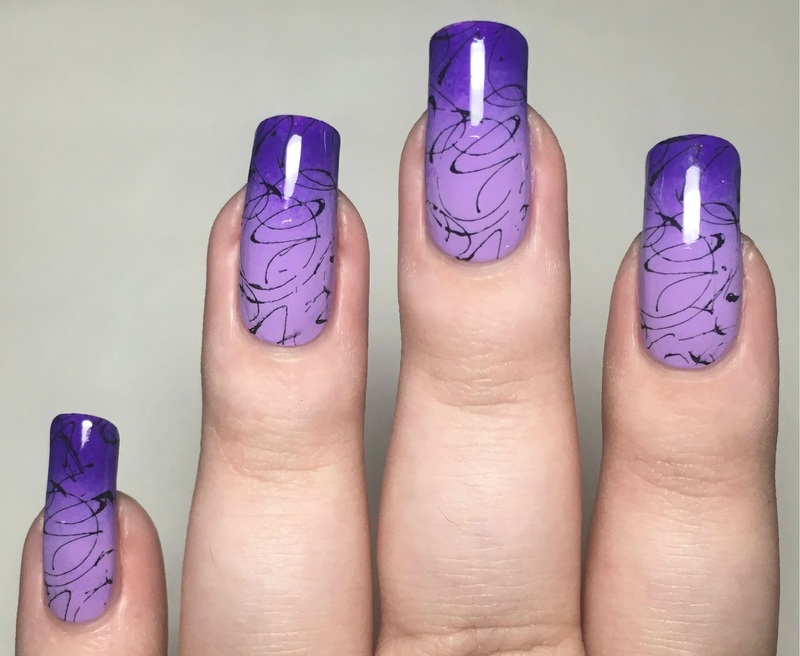 I couldn't choose a pattern, so I let my boyfriend take his pick. He went for the thin swirls (which remind me of drizzled chocolate!). I stamped using Hit The Bottle 'As Black As Night' and my Born Pretty Store clear stamper. I finished with a coat of topcoat. What do you think? I think they turned out pretty cool! 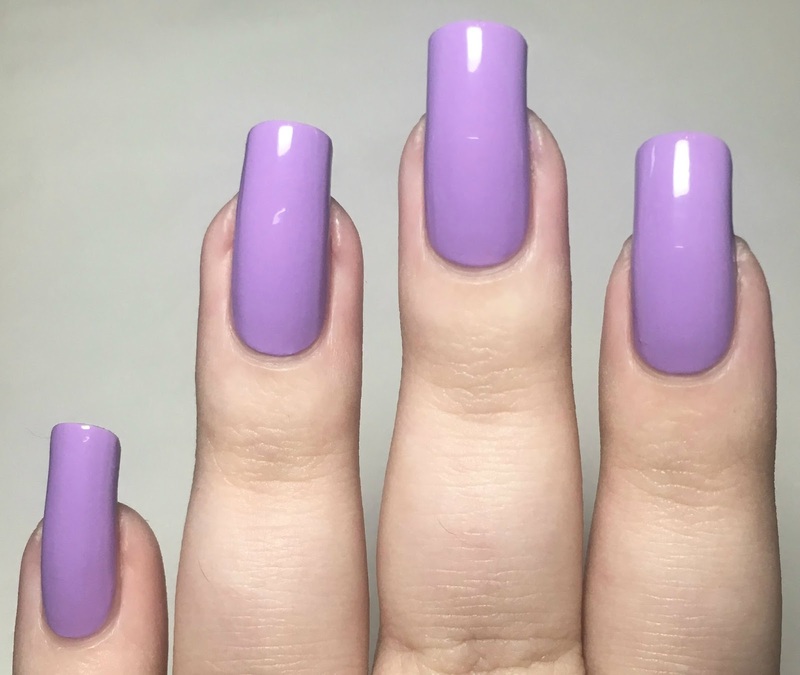 I was so impressed with 'Cute Patootie', I didn't expect the formula to be quite so good. I bought the full Pastel Pet Names collection when it released so I'm a bit ashamed I still haven't got round to swatching them all! This was also the first time I've used a Lina plate, and again I'm impressed. Hopefully I'll use some of the other images soon!